THE recovery of Belfast’s School of Dentistry remains in a “fragile and vulnerable position” according to a new inspection report by the dental regulator. The latest follow-up inspection by the General Dental Council (GDC) into the school of Dentistry at Queen’s University states that while there have been positive steps to make improvements, inspectors stressed that there was “no room for complacency”. The school was voted the best in the UK only four years ago, but a series of critical inspections by the GDC over the past two years has raised serious questions about its ability to maintain acceptable standards for training dentists. 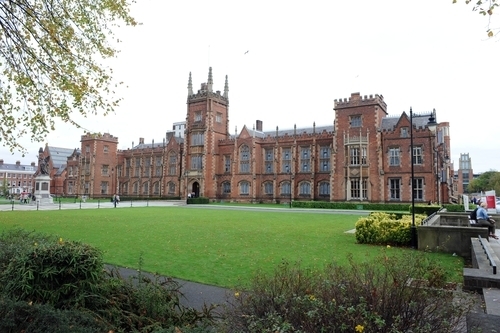 The school came into the spotlight in after it emerged that in 2009 the Belfast Trust had launched a major review of 3,000 clinical records belonging to dentistry patients. It was concerned about 22 people, four of them cancer patients who died, three from oral cancer. The recall was followed by a review of the work carried out by a consultant, Professor Phillip Lamey. As a result of the recall the Health Minister, Edwin Poots, commissioned an independent inquiry into the matter. A total of 45 recommendations were made. It found there were difficulties with “excessive workloads” and a “lack of adequate administrative support”. Professor Lamey has said he believed he was the subject of unfair criticism and that in 2009 a General Medical Council investigation recommended that no action be taken against him. Professor Lamey is currently the subject of GDC fitness to practice hearings and is accused of 46 counts of malpractice against 33 different patients. The allegations, which he denies, involve his work as senior consultant at the Royal Dental Hospital in Belfast. The GDC monitors the education of student dentists and dental care professionals at institutions across the UK. As previously reported by The Detail, a GDC inspection into the school that was published last October stated that inspectors were “alarmed” at the lack of progress that had been made despite previous criticisms by the regulator. Inspectors raised concerns over the effect this was having on the staff and, in particular, the students with confidence in the university’s commitment to the school “not as it should be”. The latest inspection report published on GDC’s website earlier today summarises the findings of a two-day re-inspection of the school on 16 and 17 April 2013. The report stated that there had been a marked improvement in communication between the school and the Dean of Medicine, Dentistry & Biomedical Sciences. However, inspectors said that while staff felt more consulted, one comment which was made to the inspection team on more than one occasion was that there was a sense that the school was being “micromanaged from above” . Inspectors emphasised the need of the school to develop “a more meaningful strategy”. The report stated that the school needed to ensure that clinical experience was gained at a more even pace. While inspectors highlighted progress in this area during 2013, they stressed the need for further improvement. Inspectors highlighted that there had been a number of senior staff appointments made which they hoped would make a difference to the running of the programme and the students’ experience. At the time of the inspection there were 13 consultant level clinical academic members of staff in place. Inspectors said that at least three more senior appointments needed to be made in order to bring staffing up to the level of other UK dental schools. The inspection team said it hoped this would “bolster experience gained in Oral Surgery and relieve the evident pressure on Clinical Teaching Fellows in that Specialty”. Responding to the report Queen’s University stated that since the inspection it had recruited a post in Oral Surgery that was due to start on October 1 2013. Inspectors noted that although new appointments were a positive step, it was disappointing that they had only taken place relatively recently despite previous GDC reports requiring this to be dealt with as “a matter of urgency”. Inspectors concluded that as a result they had not been able to measure or judge the impact made by these appointments. The school is required to provide a written update to the GDC covering the staffing situation by the beginning of December 2013, with a further re-inspection scheduled for 2014.